孙崇波, 李忠权, 王道永, 陈晓东. 哀牢山构造带南段马玉花岗闪长岩地球化学特征及其锆石U-Pb年龄[J]. 地质通报, 2019, 38(2-3): 223-230. Sun C B, Li Z Q, Wang D Y, Chen X D. Petrogeochemistry and zircon U-Pb age of the Mayu granodiorite in the southern section of Ailaoshan tectonic belt[J]. 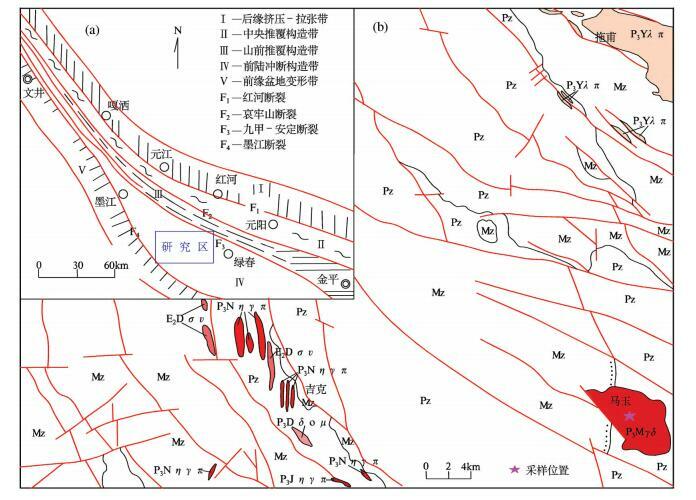 Geological Bulletin of China, 2019, 38(2-3): 223-230. Abstract: This study presents bulk petrogeochemistry and zircon U-Pb dating results for the Mayu granodiorite in Mojiang, Yunnan. 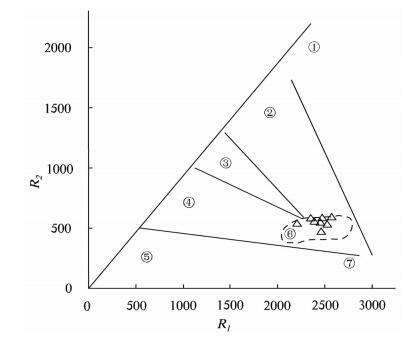 LA-ICP-MS zircon U-Pb dating results show that the Mayu granodiorite was formed in the Late Permian period (263.6±2.4Ma). The Mayu granodiorite is characterized by SiO2 content of 59.56%~70.50%, alkali (Na2O+K2O)5.16%~7.92%, and Na2O higher than K2O. It is enriched in LREE and Sc, Hf, and depleted in Sr, Zr, Th, U, with negative Eu anomalies (δEu:0.84~1.32). According to the diagrams, the Mayu granodiorite was formed in a tectonic environment of island arc-continent or continental-arc collision, indicating that the branch of Paleo-Tethys Ocean or arc basin in Ailaoshan tectonic belt may have been closed in the Late Permian (263.6±2.4Ma). 钟大赉. 滇川西部古特提斯造山带[M]. 北京: 科学出版社, 1998: 1-231. 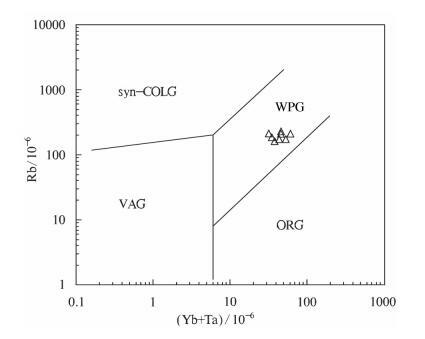 Fan W M, Wang Y J, Zhang F F, et al. Permian arc-back-arc basin development along the Ailaoshan tectonic zone:Ceochemical, isotopic and geochronol evidence from the Mojiang volcanic rocks, Southwest China[J]. Lithos, 2010, 119(3/4): 553-568. 云南地矿局. 云南省区域地质志[M]. 北京: 地质出版社, 1990: 400-450. 丛柏林, 吴根耀, 张旗, 等. 中国滇西古特提斯构造带岩石大地构造演化[J]. 中国科学(D辑), 1993, 23(11): 1201-1207. Metcalfe Ⅰ. Paleozoic and Mesozoic tectonic evolution and palaeogeography of East Asia crustal fragments:The Korean Peninsula in context[J]. Gondwana Research, 2006, 9(1/2): 24-46. Wang Y J, Zhang A M, Fan W M, et al. Petrogenesis of late Triastonic zone, southwest China, and tectonic implications for the evolution of the eastern Paleotethys geochronological and geochemical constraints[J]. Lithos, 2010, 120(3/4): 529-546. Jian P, Liu D Y, Kroner A Z, et al. Devonian to Permian plate tectonic cycle of the Paleo-Tethys Orogen in southwest China(1):Geochemistry of ophiolites, arc/back-arc assemblages and withinplate igneous rocks[J]. Lithos, 2009, 113(3/4): 748-766. 刘俊来, 唐渊, 宋志杰, 等. 滇西哀牢山构造带:构造与演化[J]. 吉林大学学报(地球科学报), 2011, 41(5): 1285-1303. 李宝龙, 季建清, 付孝悦, 等. 滇西点苍山-哀牢山变质岩系锆石SHRIMP定年及其地质意义[J]. 岩石学报, 2008, 24(10): 207-211. 王洪亮, 何世平, 陈隽璐, 等. 北秦岭西段胡店片麻状二长花岗岩LA-ICP-MS锆石U-Pb测年及其地质意义[J]. 中国地质, 2007, 34(1): 17-25. 董云鹏, 朱炳泉, 常向阳, 等. 哀牢山缝合带中两类火山岩地球化学特征及其构造意义[J]. 地球化学, 2000, 29(1): 6-13. Jackson S E, Pearson N J, Criffin W L, et al. The application of laser ablation of laser ablation-inductively coupled plasma-mass spectrometry to in situ U-Pb zircon geochronology[J]. Chemical Geology, 2004, 211(1/2): 47-69. Anderson T. Correction of common lead in U-Pb analyses that do not report 204Pb[J]. Chemical Geology, 2002, 192(1/2): 59-79. Ludwig K R. Squid 1. 02: A user manual[M]. Berkeley: Berkeley Geochronological Cener Special publication, 2001: 1-219. 刘颖, 刘海臣, 李献华. 用ICP-MS准确测量岩石样品中的40余种微量元素[J]. 地球化学, 1996, 25(26): 552-558. 黎彤, 饶紀龙. 论化学元素在地壳及其基本构造单元中的丰度[J]. 地质学报, 1965, 45(01): 82-97. 刘翠, 邓晋福, 刘俊来, 等. 哀牢山构造岩浆带晚二叠世-早三叠世火山岩特征及其构造环境[J]. 岩石学报, 2011, 27(12): 3599-3602. Jian P, Liu D Y, Kroner A, et al. Devonian to Permian plate tectonic cycle of the Paleo-Tethys Orogen in southwest China(Ⅱ):Geochemistry of ophiolites, arc/back-arc assemblages and withinplate igneous rocks and generation of the Emeishan CFB province[J]. Lithos, 2009, 113(3/4): 767-784. Zi J W, Cawood P A, Fan W M, et al. Generation of Early Indosinian enriched mantle-derived granitoid pluton in the Sanjiang Orogen(SW China) in response to closure of the PaleoTethys[J]. Lithos, 2012, 140(5): 166-182.